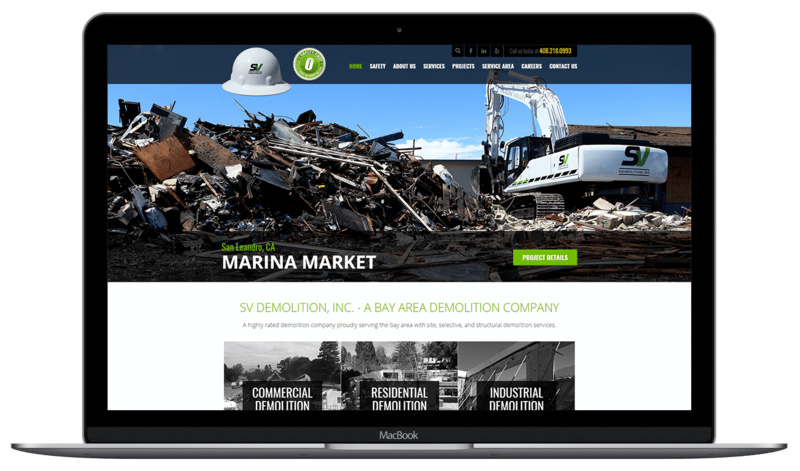 WordPress Website, SV Demolition - NOYO Web Development Inc. This is the 4th time we've used NOYO Web Development and it won't be the last. This firm always surpasses our expectations - excellent job and thank you. SV Demolition Inc. sets the standard for commercial demolition in the Bay area and around Northern California. We specialize in providing high quality, cost-effective and safe demolition services for a broad range of clients in both the public and private sectors. Lead by industry experts Scott Helf and Scott Righetti, our demolition crews and management team offer a unique depth of experience that includes innovative approaches to the most complicated demolition projects. These include controlled demolition and soft demolition jobs.